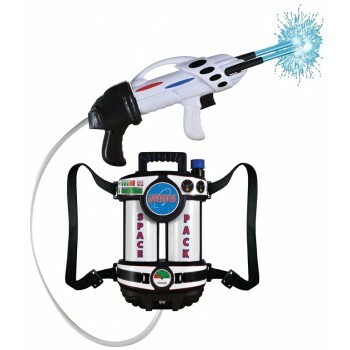 Your little astronaut will love this Super Soaking Water Blaster! 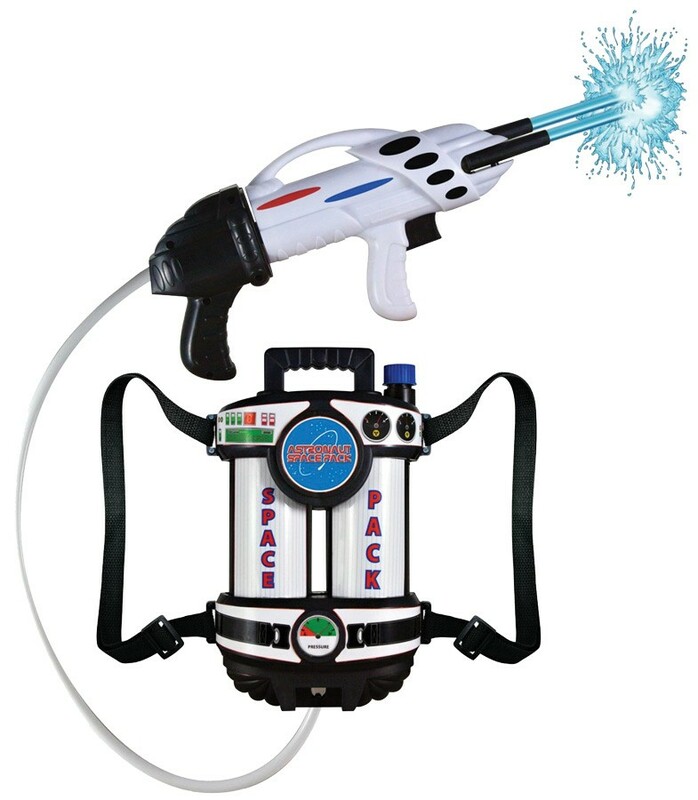 This backpack holds 1 liter of water and shoots in multiple directions and up to 30 feet with one pump! Approximately 60 shots per tank. Backpack weighs about 2lbs. when filled with water. Recommended for ages 5+.